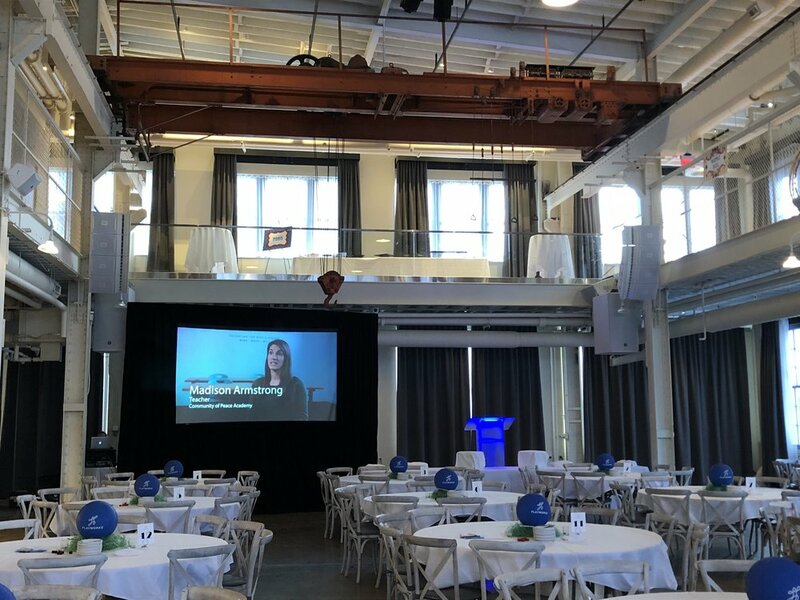 AV for You provided audio, video and staging rental equipment for a Playworks Event at the Machine Shop in Minneapolis, MN. For audio rental equipment we provided a Mackie 1402-VLZ4 14 Channel Mixer, Shure Handheld Wireless Microphone and an LTI Blox for laptop audio. 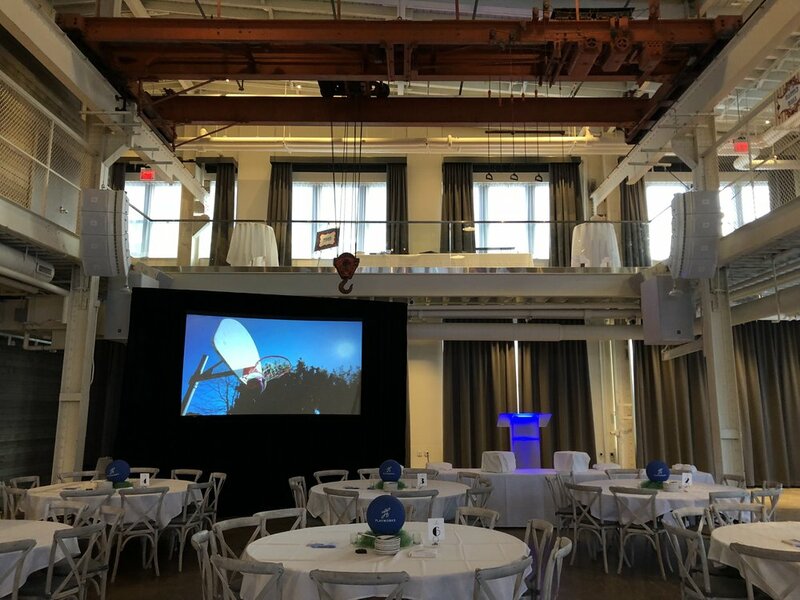 For video rental equipment we rear projected our Eiki 7K HD projector onto a Draper 10’ x 5.75’ Fastfold Screen. We set up our Analog Way QuickVu Video Switcher and Playback pro to switch between powerpoint and videos. We used our Decimator HDMI-SDI Cross Converter Kit to distribute HD Video Signal to the Projector. For staging rental equipment we set up a 8’ x 4’ stage using two of our 4’ x 4’ stage decks, an 8” stage step and stage skirting. We also placed our frosted podium with uplight on the stage as well.